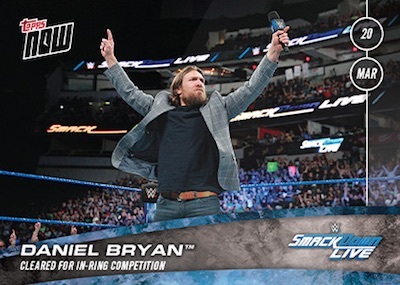 The on-demand wrestling set pushes ahead with 2018 Topps Now WWE. Because each release is limited to just 24 hours of sales, collectors have to move fast to snag the print-to-order cards, especially for the low-numbered relics. 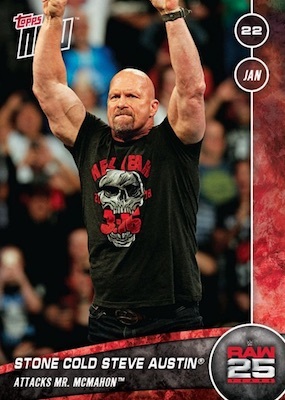 What previously made the Topps Now WWE line unique is the fact that it continued to number the cards consecutively across each year. 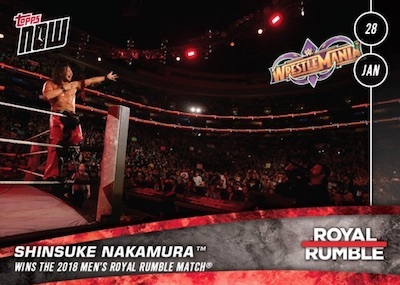 Although the 2018 Topps Now WWE checklist starts with #159, expanding the numbering from the 2016 and 2017, the 2018 sets for Royal Rumble and NXT TakeOver: Philadelphia see the numbering refresh back to #1. 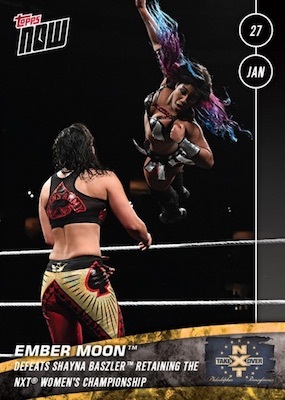 Buy current 2018 Topps Now WWE cards on the Topps site. 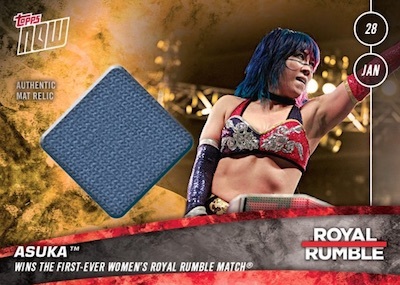 Individual card costs remain $9.99 with free SmartPost shipping, but there are opportunities for random relics that carry specific print runs (usually 25 or less), and a much higher cost. Because the total production for the relics is capped, they tend to sell out very quickly despite the large price tag. 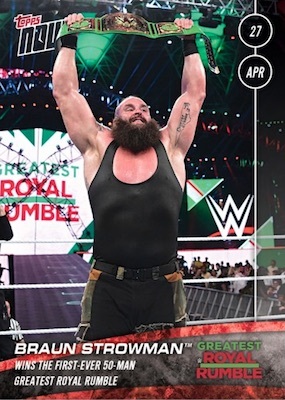 The ongoing 2018 Topps Now WWE checklist below will be updated with new cards once they are announced. 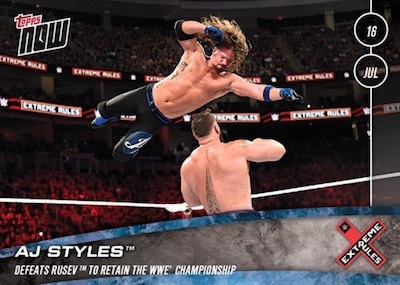 Shop for available Now WWE cards on eBay.